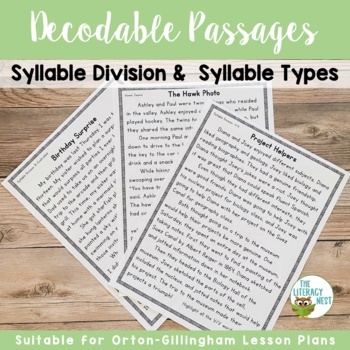 These syllable stories are filled with syllable practice with syllable types and syllable division. 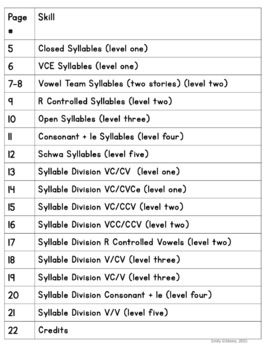 You'll receive 17 original syllable stories to practice syllable types and syllable division. They are fully decodable with controlled text. 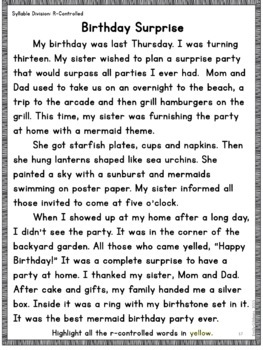 These syllable stories are suitable for Orton-Gillingham instruction, RTi or other reading intervention programs. Please download the preview to see a complete view of what is included. This is Volume 1. I plan on creating more in the future, so please check back! Looking for more decodable stories with controlled text? Click here for my Orton-Gillingham Readers Bundle. CLICK HERE FOR MORE SYLLABLE TYPES PRACTICE. Looking for tips to teach syllable types? Read my full blog series! Click here for a blog series on syllable types.